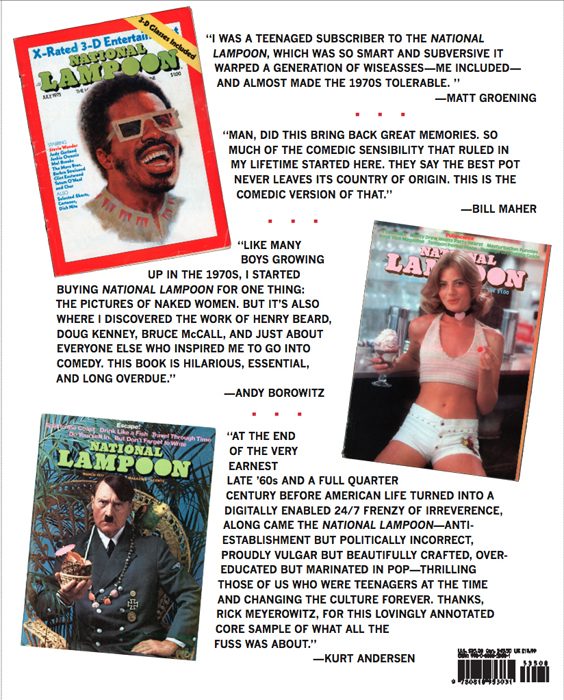 The National Lampoon rose like a rocket: Launched during the late Vietnam years, it climbed through the drug-addled countercultural haze of the early 1970s to orbit an American scene desperately in need of a laugh. 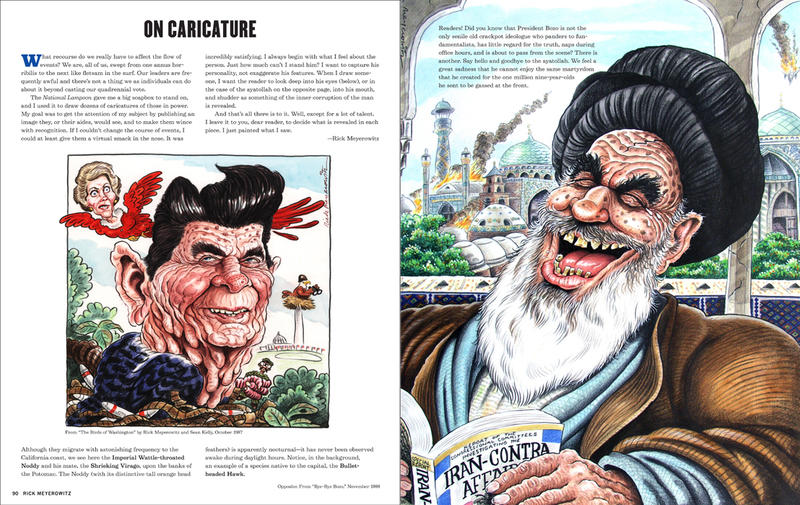 If the magazine had a point of view, it was that everybody and everything was fair game: raving, right-wing lunatics, tie-dyed peaceniks, tedious noodniks; all were offended by their stick-in-your-eye style of humor. This irreverence seemed to work. 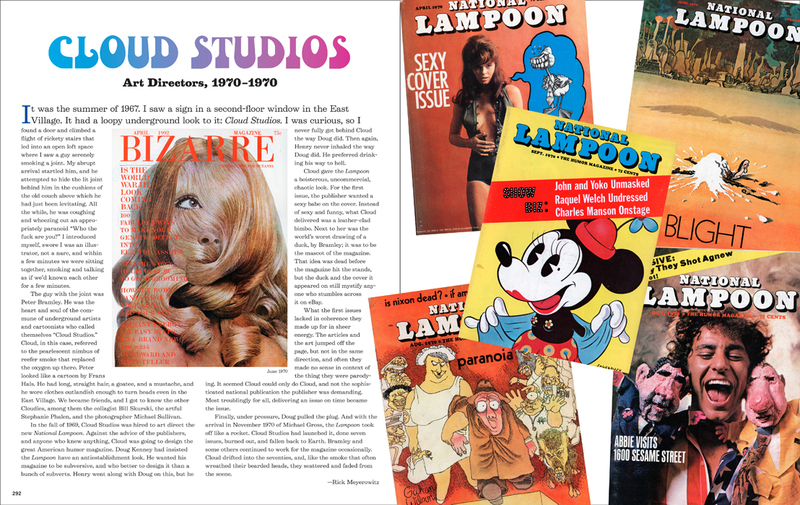 Within months of the first issue, in April, 1970, the Lampoon caught fire (and not from the box of sweating dynamite an admirer once mailed to the an editor). It blazed like a comet for a decade, spinning off innumerable special projects, books, magazines, theater pieces, films, television shows, and eventually—writers and artists. 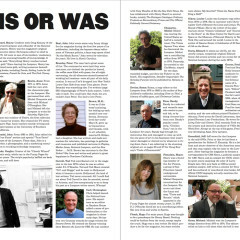 The mainstays of the magazine moved on, finding their way to other mediums. Over time, the Lampoon pedigree faded from their resumes, and the magazine, like some of the contributors, returned to earth. 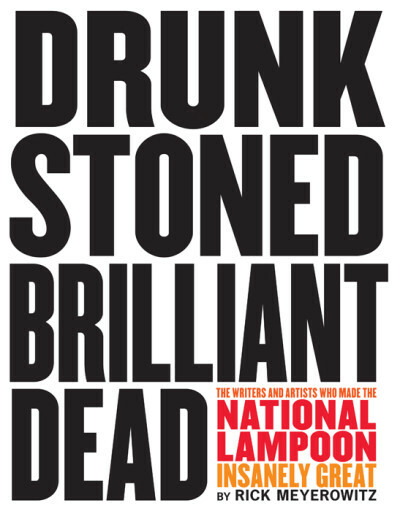 DRUNK STONED BRILLIANT DEAD resurrects these contributors and reveals who among the living and the dead were the funniest and most brilliant. 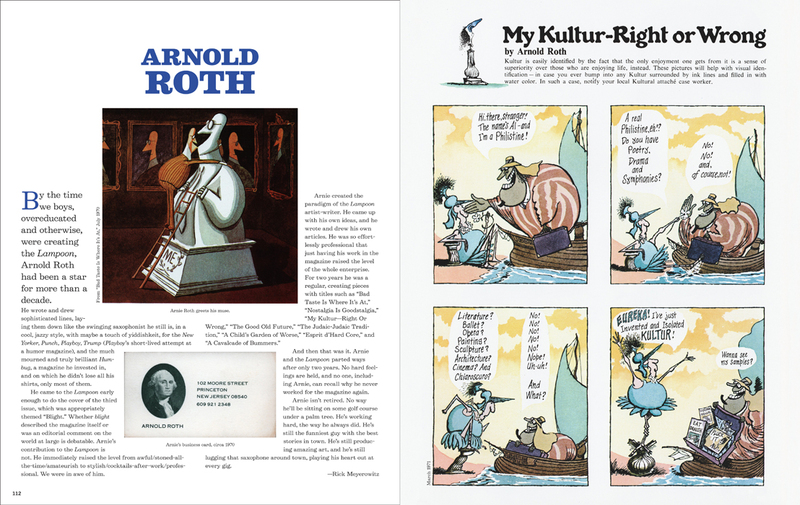 It tells the story, using their own hilarious words and art, of the writers and artists who made the National Lampoon, America’s only national humor magazine, so outrageously, unbelievably funny. 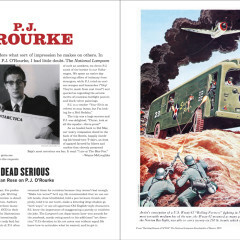 “Drunk Stoned Brilliant Dead” is a coffee-table book—big, colorful, and fun to flip through. 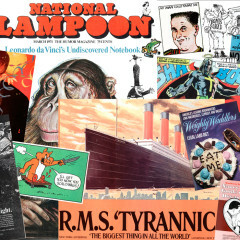 But it also serves as an important reminder: where would American humor be without the National Lampoon? The other night I started laughing so hard I had to leave the room. My daughter was trying to study, and I could see she was getting alarmed. It was kind of scary to me, too, if you want to know the truth. For a moment there, as I made it into the bathroom and shut the door, I thought my body was approaching organ failure, not that I know what organ failure feels like, thank God. You hear people say things like “I laughed so hard I cried” and “I nearly fell out of my chair,” but I had gone well beyond the crying stage by the time my metabolism began to return to equilibrium. 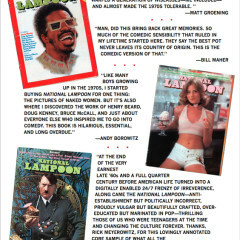 And then I realized that I hadn’t laughed so hard in 35 years, since I was a teenager, reading National Lampoon. American men of a certain age will recall the feeling. What I’d been reading the other night was, no coincidence, National Lampoon—specifically the monologue of a fictional New York cabbie named Bernie X. 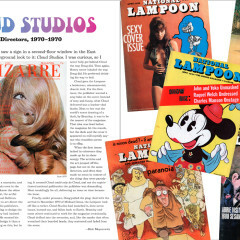 He was the creation of Gerald Sussman, a writer and editor for the Lampoon from its early days in the 1970s to its sputtering death in 1998. 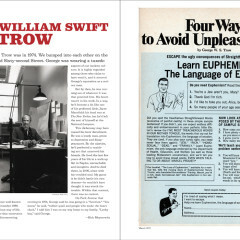 Sussman, it is said, wrote more words for the magazine than any other contributor. I’m sorry I can’t quote any of his pieces here. They’re filthy. If I’d gone ahead and died the other night, my wife would have known whom to sue. 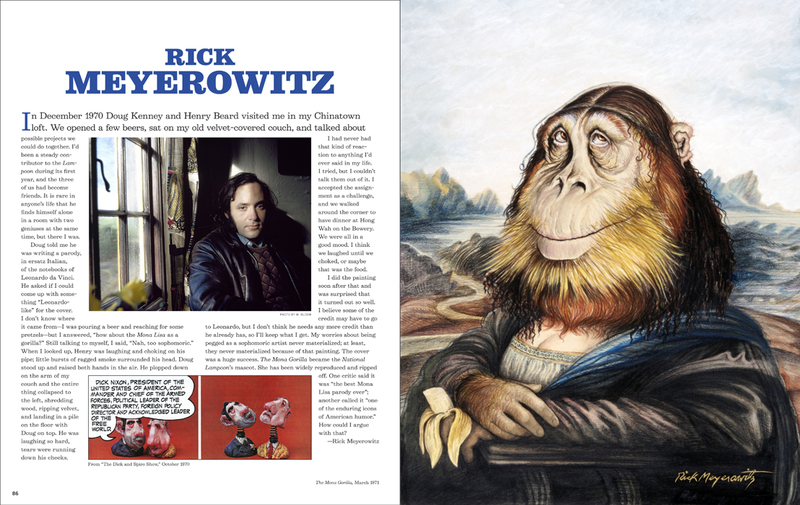 “Drunk Stoned Brilliant Dead,” in which Bernie X appears, is the work of Rick Meyerowitz, himself a valued contributor to the Lampoon who had the bright idea to gather his favorite pieces from the magazine into a handsomely produced coffee-table book. 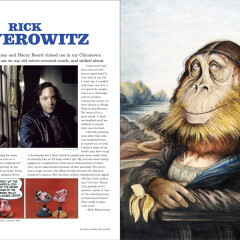 Mr. Meyerowitz is best known as the man who painted Mona Gorilla, a shapely, primly dressed primate with come-hither eyes and a smile far more unsettling than Leonardo’s original. 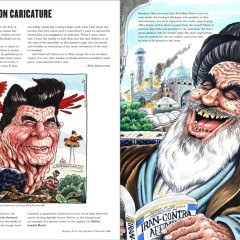 That ape may be the most celebrated magazine illustration of the 1970s. 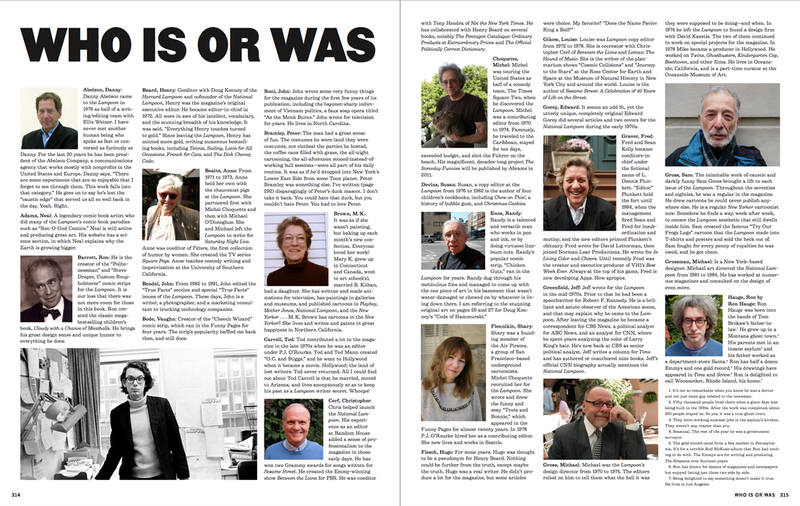 Rick Meyerowitz chronicles the magazine’s history from its lurching beginnings in 1970 as the brainchild of Henry Beard, Rob Hoffman and Doug Kenney, who “drew to them like-minded, almost equally brilliant writers and artists who all wanted to change the world — or blow it up, or both,” to its flinching end in the early ’90s. 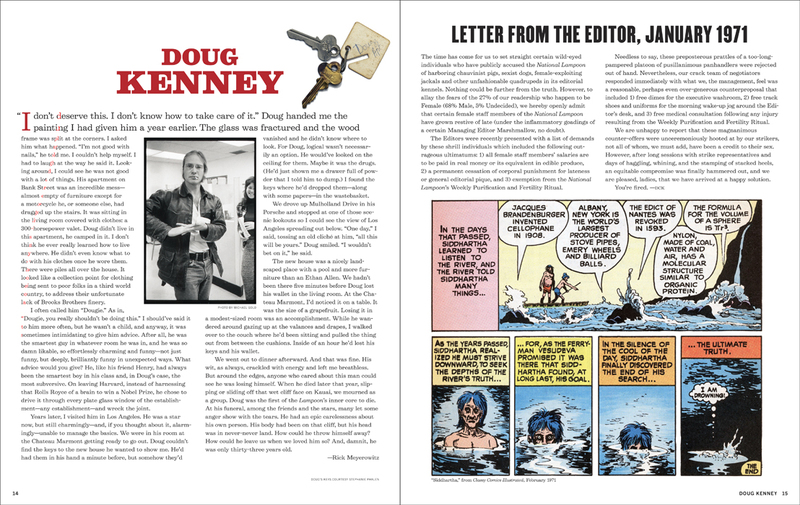 He intersperses what he’s chosen with fully formed personal anecdotes about National Lampoon’s founders and prolific major players, and with stories of the behavior behind the page (like the remark that the legendary Tony Hendra “can drink the table under the table”). 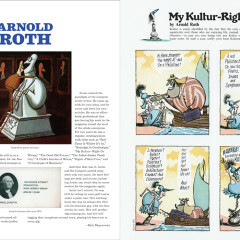 Others try, but Hendra best describes the content that emerged as “National Lampoon’s unique high-low style of comedy, incredible disgustingness paired with intellectual and linguistic fireworks.” Relentlessly subversive, accessible without being gratuitous, densely paranoid and paranoidally dense, the humor is rooted in a vast knowledge of history, art, literature, science and law. 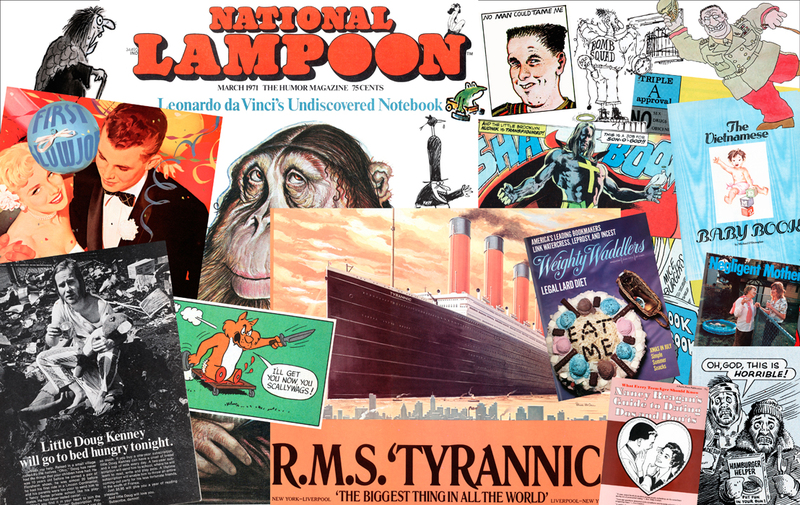 National Lampoon was born in April 1970 and promptly metastasized in the gaseous belly of Vietnam-Watergate America, a not-so-benign humor tumor feeding off countercultural and over-the-counter-cultural idiocy. 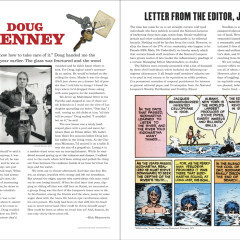 Fifty issues later it was selling a million copies a month, and through an early-Pleistocene form of file sharing called “pass-along” it reached 8 to 10 times that many readers. Its lingua franca was parody, but playful mockery was never its aim. A saccharine send-up of a dime-store baby book became a Swiftian memorial to a Vietnamese infant machine-gunned at My Lai; a goofy midwestern yearbook became an epically hilarious carpet-bombing of the American high-school experience. 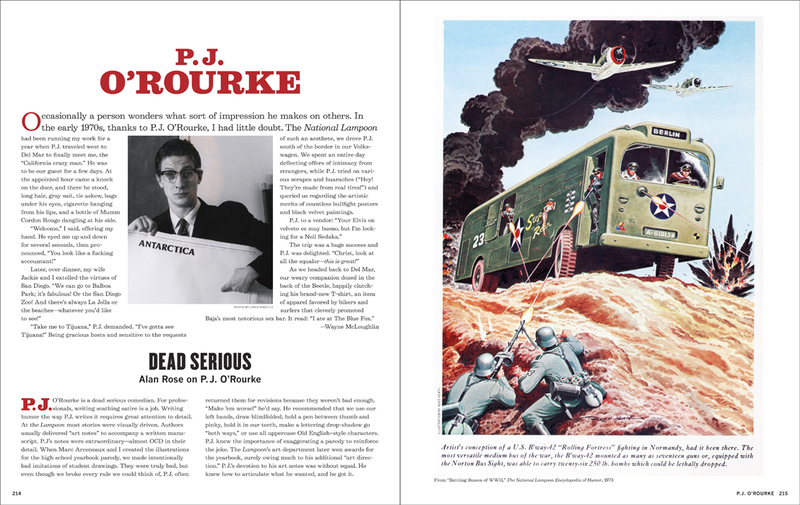 Drunk Stoned Brilliant Dead (Abrams), out this month, is the first Lampoon book that celebrates the wild, eye-intoxicating diversity of its illustrations, photography, cartoons, comic strips, graphics—parodies of everything from matchbooks to Marvel Comics to modern art. 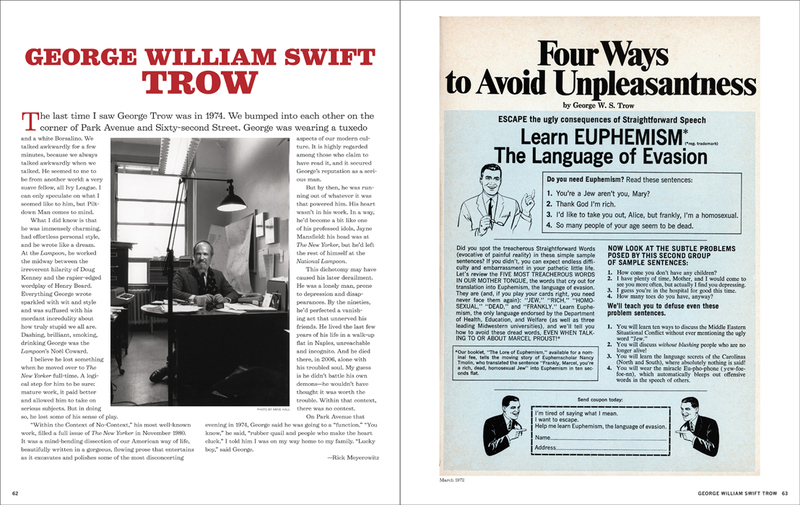 In toto this volume is a testament to the dazzling design expertise of its formative art directors, Michael Gross and David Kaestle. 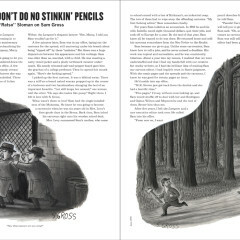 Rick Meyerowitz, a charter member of the Lampoon crew has in effect edited a magnificent 320-page issue of the magazine that reprints much of its finest work. And in brief, funny, and for once malice-free memoirs from its principals, the collection evokes the sparkling camaraderie that drove it. 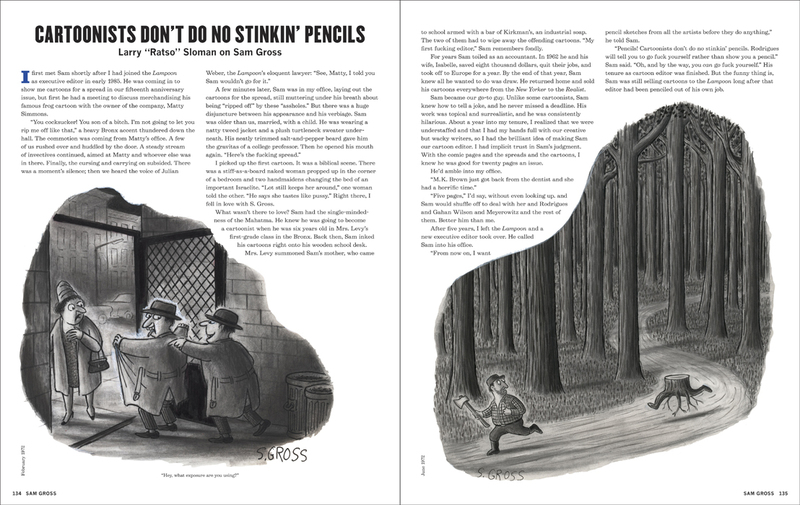 If you grew up with the Lampoon, this book is a trip down memory lane like no other; if not, it will demonstrate that the much-maligned 70s could produce humor that has never been surpassed.